• Welcome PDF Watermarker 3. 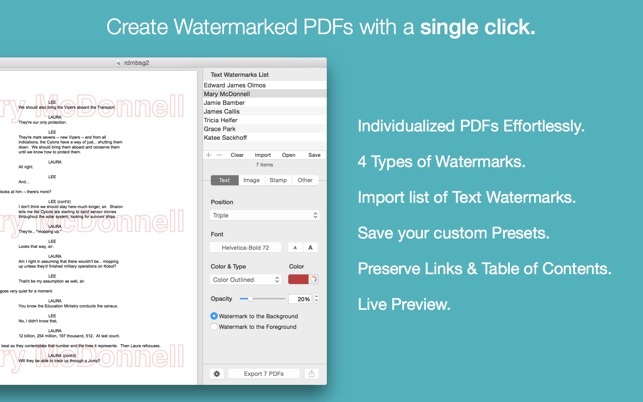 PDF Watermarker lets you easily watermark your PDFs. Create personalized watermarked PDFs and so much more. 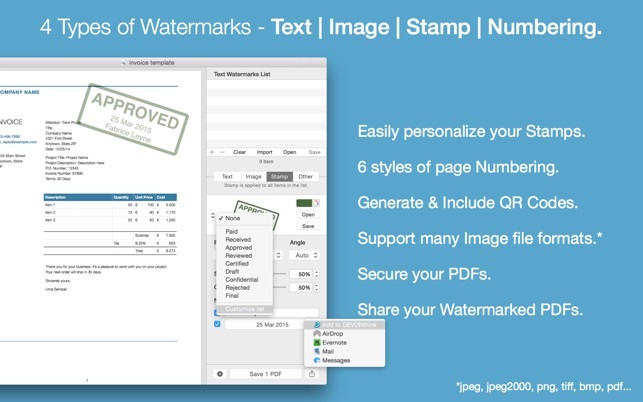 With PDF Watermarker easily watermark your PDF documents with Text, Image, Stamp Watermarks, Page Numering and QR Codes. • Import a list of Text Watermarks and generate individually-watermarked PDFs with a single click. • 4 Types of Watermarks (Text, Image, Stamp, Page Numbering). • Save your settings presets. • Preserve Links & Table of contents. PDF Watermarker is not limited to generate hundreds of personalized watermarked PDFs, you can do much much more. • Easily add personalized Stamp Watermarks. • Add Page Numbering, with 6 sytles available and infinite custom format. 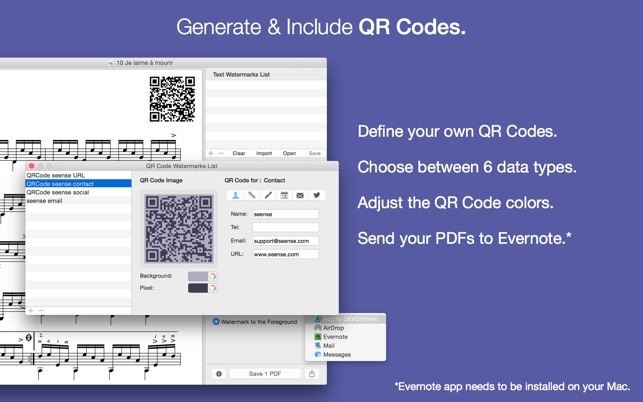 • Generate and Include QR Codes. • Add an Image. Many Image file formats are supported. Including PDF! • Secure your Watermarked PDF. • Easily share your Watermarked PDF. 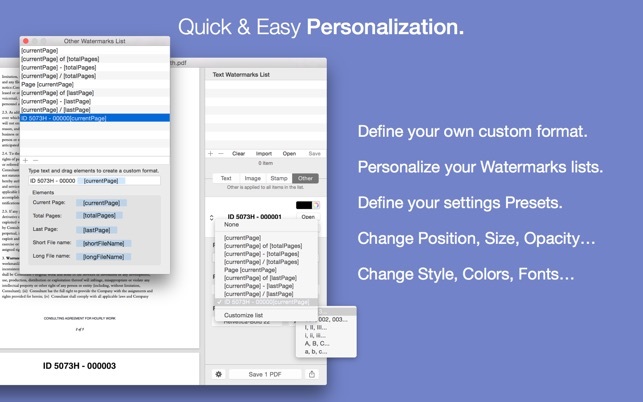 PDF Watermarker lets you easily customize watermarks, settings and more. And save your presets. • Define your own custom format for Page Numbering and more. • Customize your list of text Stamps. • Import Image by drag & drop and save your settings. 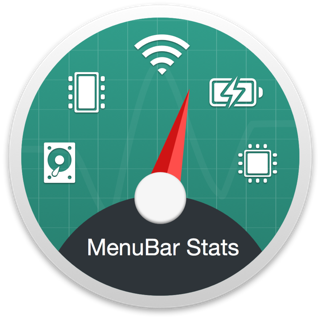 • Change position, size, opacity, style, colors, fonts, and more. • Save presets for each Watermark type for future use. PDF Watermarker lets you create your own QR Code, and use it to watermark your document. • Define your own QR Code. • Choose between 6 data types. • Send your PDFs to Evernote via the share button. Evernote app needs to be installed on your Mac. • Set a Password to the generated PDFs. I love to get your feedback and suggestion. Get in touch with me at support@seense.com, @seensedotcom on Twitter. [Bug Fixed] Watermark refresh could be sometime an issue on previous version. Ok - I got this application to do one thing, and it does that nearly perfectly. Our accounting office is transitioning to be 100% digital, so now when invoices come in via email, instead of printing them for prcoessing, we do all our processing with digital stamps on PDF. This app is a great step in the workflow of saving a PDF with a specific filename and marking it as received with the current date. My one complaint is that I can’t set a default watermarking action, so that EVERY file I drop into the app will open with my “Recieved” preset, and then I can just initiate the saving process. It’s a only few extra clicks, but if we could set a default preset to open the program with, we’d be GOLDEN. Worked fine on previous versions of mac os, but does not work at all on High Sierra. In the digital age, .pdf documents can get sent around and its important to "stamp" ownership or a disclaimer. This app does as promised and makes it in a nice professional format. Its one of about 4 pdf related apps I use regularly (PDFpen, PDFSuite, PDF2Office, PDF Watermaker) each for its own narrow purpose. I'm happy to have several small apps that each do one thig well rather than a bloated and complex single one.